For the US, it (global warming + El Nino) means an increasing likelihood of heavy precipitation events from the southern plains states through the desert southwest. Storm track intensification through the Pacific to North America means that extreme rainfall events are a distinct possibility for states like Texas, Oklahoma, Colorado, Arizona, Nevada, and New Mexico. — robertscribbler blog’s El Nino + Global warming forecast posted on May 15, 2015. It’s a summer of El Nino. And it’s a summer when human-caused global warming is now hitting new record hot extremes. A combination that spells big trouble for severe weather in various regions around the globe, including in the center mass of the United States. 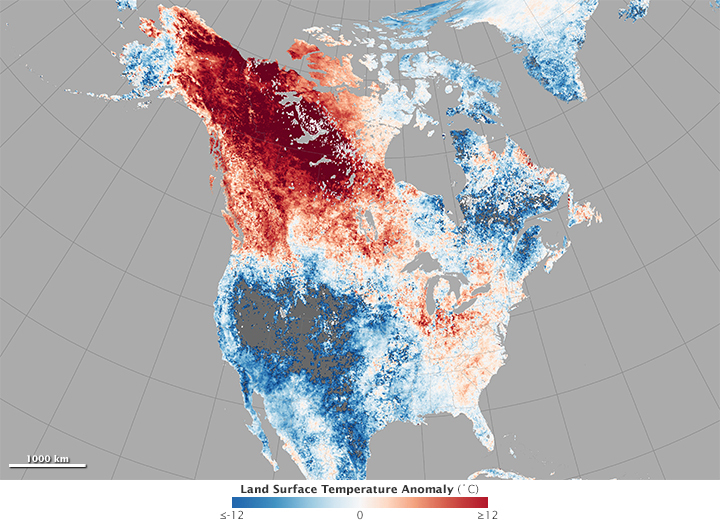 If it was only a summer El Nino, the Central US wouldn’t have too much to be concerned about. Sure, the added Pacific Ocean heat would amplify the subtropical jet stream and assist in trough development over the region. Both factors that would somewhat intensify rainfall events during a typical summer. But this is not a typical summer El Nino. This summer El Nino is happening in conjunction with record low sea ice extents in the Arctic (see Baked Alaska graphic below) and record hot global temperatures in the range of +1 degrees Celsius above 1880s averages. The record low sea ice levels aid in ridge and trough development — spurring the formation of hot-cool temperature dipoles that feed storms. Extreme weather firing off in an essentially changed atmosphere. An atmosphere heated to levels likely not seen in all of the current Holocene interglacial and probably at least since the Eemian 150,000 years ago. It’s an extra level of heat that loads the atmosphere with a substantially greater amount of moisture (amplifying the hydrological cycle by 7 percent for each 1 degree C of warming). So when the storms do fire, they are now likely to dump much higher volumes of rain than we are used to. 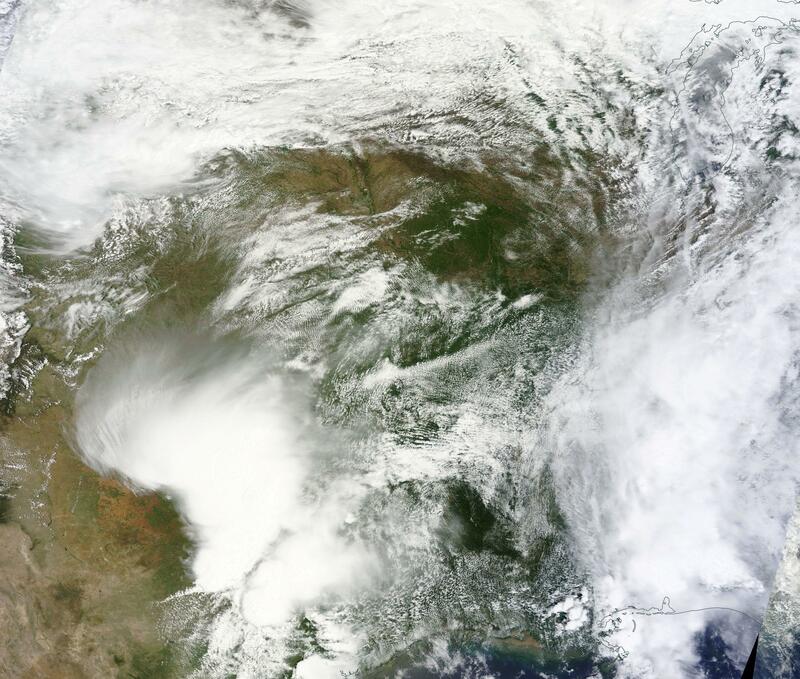 Such was the case with Texas on Tuesday and Wednesday where hundreds of homes were flooded, numerous lives lost, and hundreds of water rescues performed. In some regions, all-time record rainfall amounts were shattered. In Houston on Tuesday, hourly rainfall accumulations exceed 4 inches per hour (11+ inches daily accumulation for that city) — an extraordinary rate of rainfall no drainage system is designed to accommodate. Residents were stranded in cars for hours due to washed out roads or watched on in horror as the first floors of their homes were turned into strange flood-fueled washing machines. It was a deluge that many compared with past record rainfall events spurred by hurricanes. But this was no hurricane, just a wave of intense storms rippling down an extreme trough in the Jet Stream and encountering an equally extreme atmospheric moisture loading. Make no mistake, it was climate change and related human heating of the atmosphere that provided the steroids that pumped what would have been garden variety moderate to strong storms into the monsters witnessed on Tuesday and Wednesday. 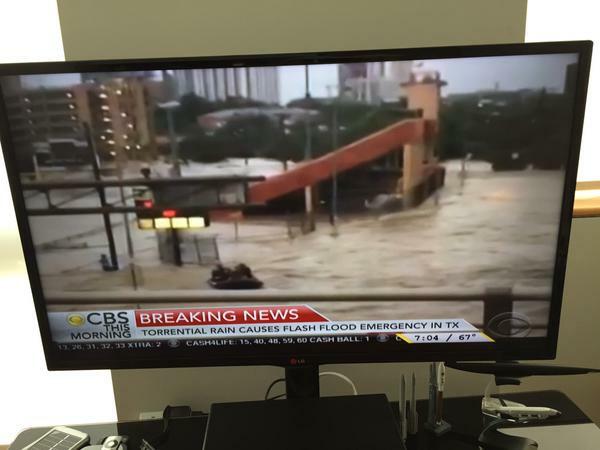 A billion dollar flood that, without climate change, would almost certainly have just been another summer shower. 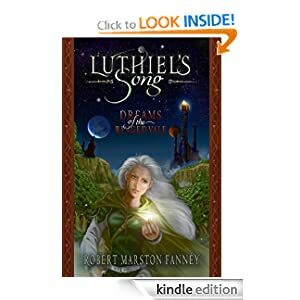 And as we’ve come to see time and again, the related climate change deniosphere led by the likes of Fox News and National Review had an epic meltdown as a result. Either denying climate change is happening at all or, as was the case with National Review, denying that policy action could have any impact to help what is an already worsening situation. But the critical elements of the current event appear to have been lost in all the fuzz. The first is that it was predictable, if we just look at current weather (El Nino, insane trough development, and atmospheric moisture loading) in a climate change context. And the second is that if we continue to ignore climate change, people will not be warned in advance of events like the one that occurred last week. Events that we have proven are indeed predictable see here if looked at in the climate context (and if weather forecasters simply do the same). Whether we respond rapidly through responsible policy action (which will certainly help to reduce the harm we are now causing, but not prevent all of it), or whether we listen to the voices of nonsense that helped get us into this mess in the first place and continue to delay action, there is certainly a degree of far worse weather in the pipe. And failing to report on climate change, as the media has largely done, increases risks for loss of life, property damage, and overall disruption. So far, the flood death count for this week is 30 souls. If you’re a weatherman who’s ignoring climate change, or if you’re a media organization that’s preventing weather forecasters from talking about climate change, this should weigh heavily on your conscience. 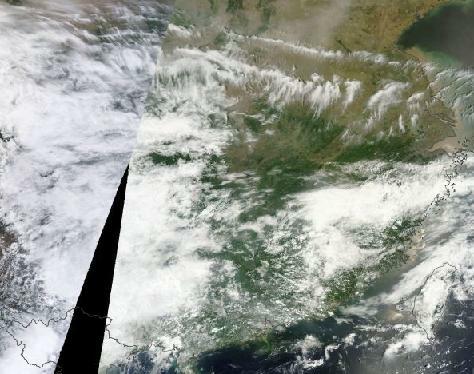 Black, ominous clouds have been dumping heavy rainfall over southeast China ever since May 12. 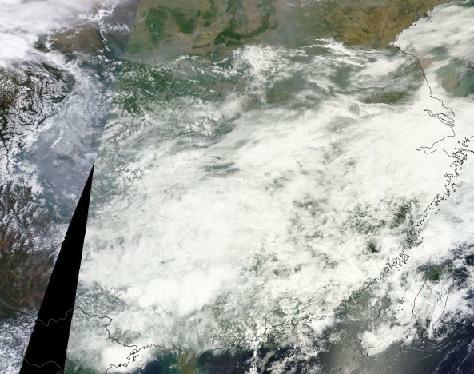 Warm winds, laden with the moisture spilling off a super-heated Pacific Ocean, collided with an intense storm track that often combined upper level moisture flows spilling off the heat dome near the Caspian, a high intensity heat and evaporation event now ongoing over India, and cold, unstable air streaming down from the Kara Sea in the Arctic. Since mid-May this relentlessly persistent pattern has been in effect. 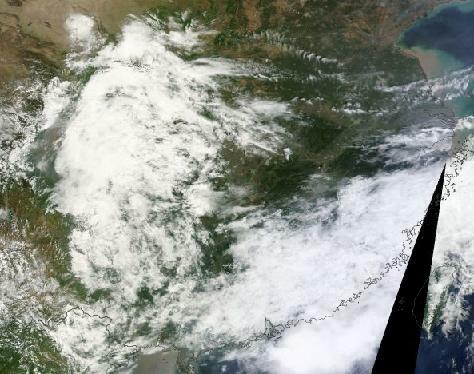 And the inundation has been ongoing and extraordinarily intense with day-after-day deluges pounding a sprawling region from south-central China and on to the coast. Each new dawn brings with it fresh losses with numerous major roads closed, bridges washed out, and adding to what is now an almost endless tally of evacuation orders. Daily rainfall totals in the range of 2-6 inches or more have saturated grounds, burst riverbanks, and turned streets into torrents. By today, more than 1 million people had been impacted with nearly a half million evacuated or rescued from flooded buildings. Since the, still ongoing, floods began in mid-May, more than 25,000 homes and 40 souls have been lost to the epic storms. The Chinese have invested heavily in flood defenses since the 1998 deluge that resulted in 4,000 dead, over 15 million homeless, and 26 billion dollars in damages. During that year, a strong El Nino set off severe storms that turned large Chinese rivers into raging inland seas. The Three Gorges Dam on the Yangtze was built, in part, to prevent this kind of terrible flooding. But fears of a possible repeat of the 1998 event are on the rise despite heightened Chinese defenses. A strong El Nino may again be gathering in the Pacific and with global temperatures now warmer than even those seen during the late 1990s, atmospheric moisture loading is probably at its highest in at least the last 10,000 years. This extreme atmospheric heating and global trend toward El Nino could well result in continuing and possibly worsening local impacts for Southeast China. It is the second region this spring to suffer epic flooding after the worst flood event in 1,000 years resulted in the destruction of over 100,000 homes in the Balkans. High atmospheric heat content increases both the frequency of severe rain and drought events due to an amplification of the hydrological cycle through evaporation. Overall, it is estimated that the current .8 C of warming over 1880s temperature averages has caused a 6% amplification of the hydrological cycle worldwide. That’s 6% heavier rainfall and 6% more intense droughts when averaged over the entire globe. But as we well know, weather isn’t an evenly distributed phenomena. Some regions are more likely to receive a bulk of that increased rainfall even as others are more prone to see a majority of the increased drying. Add to this consequence a meandering Jet Stream (set off by loss of Northern Hemisphere sea ice) with the tendency to lock in very persistent weather patterns and you end up with a greatly enhanced likelihood for extreme weather due to the wide-ranging effects of atmospheric warming. For southeast China, weather patterns will remain locked in for a continuation of potential extreme rainfall over the next week. The large heat domes over the Caspian and India will continue to spill out moisture over Southeast China even as the extraordinarily warm Pacific provides its own moisture flow. Notably, the weather forecast for this Wednesday calls for another large outbreak of thunderstorms with the potential to drop 2-4+ inches of rainfall over already saturated and inundated grounds. Thursday through Sunday is expected to bring yet more waves of severe thunderstorms to the region. Given this combined extreme weather and climate state it is certainly possible that the current flood tally will continue to lengthen for Southeast China. 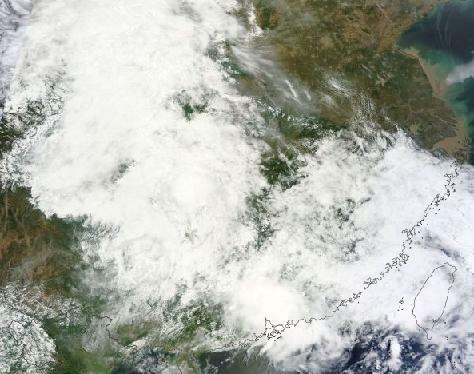 Yesterday, tropical storm Trami churned through an abnormally hot Pacific Ocean toward an inevitable date with downpour over Taiwan and Southeastern China. There, a procession of tropical storms and monsoonal moisture had set off record floods which, by Tuesday, had resulted in the deaths of over 200 people. The now saturated region expects the arrival of Trami today, but not after the tropical monster, loaded with megatons of moisture, clashed with an already amped monsoonal flow to drench the Philippines as it emerged from a broiling Pacific Ocean. Throughout the past month, an ocean heat dome had caused surface water temperatures to soar above 86 degrees Fahrenheit (30 degrees Celsius) over a vast swath of the Pacific Ocean just to the east of China and to the south of Japan and Korea. This powerful pool of latent Pacific heat was a major factor in the delivery of record heatwaves to China, Korea and Japan which resulted in thousands of hospitalizations and at least 100 lives lost. But yesterday, the heat and moisture rising off the Pacific would play its highly energetic part in an entirely different anomalous weather event — the inundation of the Philippine capital city of Manila. 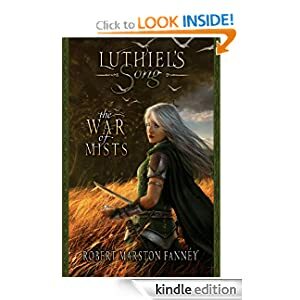 As Trami made her way over these hot and moisture rich waters, she grew in size until her cloud area covered a width of more than one thousand miles. Ocean temperatures soaring between 2 and 4 degrees (Fahrenheit) above average helped to pump its immense bulk full of moisture even as it became wrapped in a dense flow of monsoonal moisture proceeding from west to east off the continent. By Monday, Trami was moving in from the east, lashing the Philippines with her dense, thunderstorm laden, spiral bands even as monsoonal storms came into collision with these bands from the west. The combination of a moisture rich tropical storm colliding with an equally rain dense monsoonal flow over a Philippines surrounded by anomalously hot water set off an extraordinarily intense rain event in which the capital of Manila was inundated by a powerful deluge. Rainfall rates for this sprawling city hit a stunning 2 inches per hour and maintained that record shattering pace for almost twelve hours running. In total, more than 23.5 inches of rainfall was recorded at rain gauges across the capital. Many residents, whose homes were flooded in a rising rush of water, were forced to evacuate and initial reports indicate that at least 100,000 of Manila’s 12 million residents have now relocated to emergency shelters. So far, at least 8 deaths and millions of dollars in damages have been attributed to the storm. But with local levees and damns under threat of over-topping and collapse, the initial reports and estimates may just be the beginning. 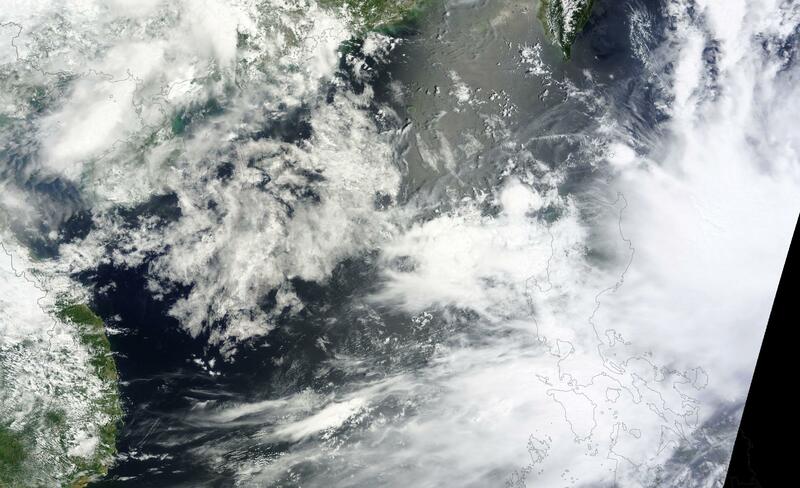 Satellite and water vapor imagery taken on Tuesday showed rains continuing over the Philippines, albeit at a less intense rate, as Trami turned her great bulk of moisture northwestward toward the already soaked regions of Taiwan and southeastern China. Trami is expected to intensify into a category 1 Typhoon this afternoon and is likely to deliver severe rains and flooding to already soaked regions. You can see Trami raking both Taiwan and the Philippines with massive and rain-dense cloud bands in the most recent NOAA water vapor imagery. 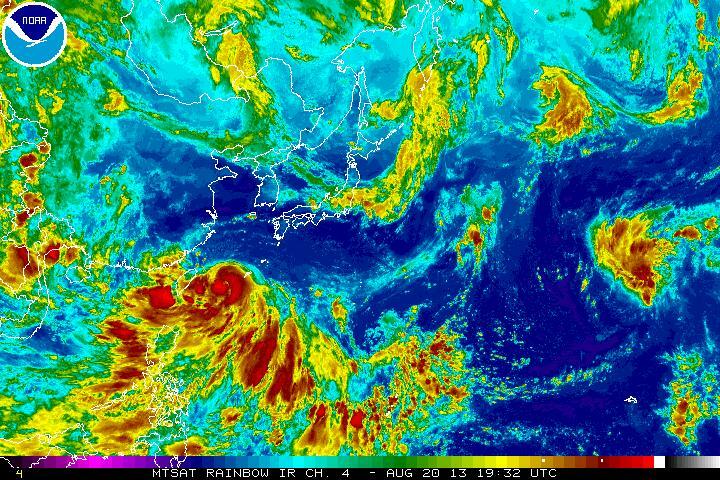 In this image, the storm appears to intensify as it bears down on the already storm-soaked shores of China and Taiwan. The Philippines is hit by a total of 20 tropical cyclones each year. So heavy rainfall and floods are a regular aspect of life there. However, the nearly 24 inches of rainfall during a 12 hour period experienced yesterday is unprecedented, breaking even a number of Manila’s very high record rainfall totals. The conditions that led to these records, just one year after another severe rainfall event, include anomalous heating of the Pacific Ocean under a powerful Ocean Heat Dome during late July and early August, a rather strong and thick monsoonal flow that has tended to meander a bit further north than is usual, and a very large tropical cyclone fed by both the anomalous heat and added moisture. Climate research has shown that we can expect more intense rainfall events worldwide as the hydrological cycle increases by 6% with a .8 degree Celsius temperature rise. Similar research has found evidence of more frequent tropical cyclones as oceans warm and seasons in which hurricanes may develop continue to lengthen. This region of the Pacific Ocean, in particular, has shown an increasing number of cyclones as Earth has continued its human-driven warming trend, with temperatures increasing by .2 degrees Celsius per decade over the last 30 years. Since the vast Pacific Ocean forms a kind of moisture trap in this steamy region, it is likely the area will experience some of the worst flooding and storm effects coming down the pipe due to human-caused warming. Trami’s expected delivery of powerful storms to China and Taiwan will also, unfortunately, probably not be the last for this season. Water temperatures are still stunningly high and moisture flows from both the Indian Ocean and the Pacific are likely to churn out many more storms before the tropical cyclone season ends months from now.